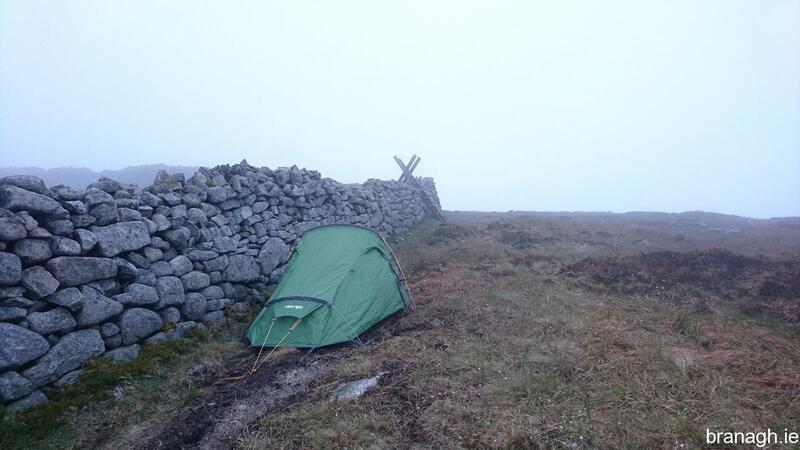 The story was the same as many camps in The Mournes; I set off after work and headed south. I have quite a few peaks in the Western Mournes that I still need to tick off the list. This evening I decided to go for Eagle Mountain. I parked just off Moyad Road, close to Spelga reservoir. 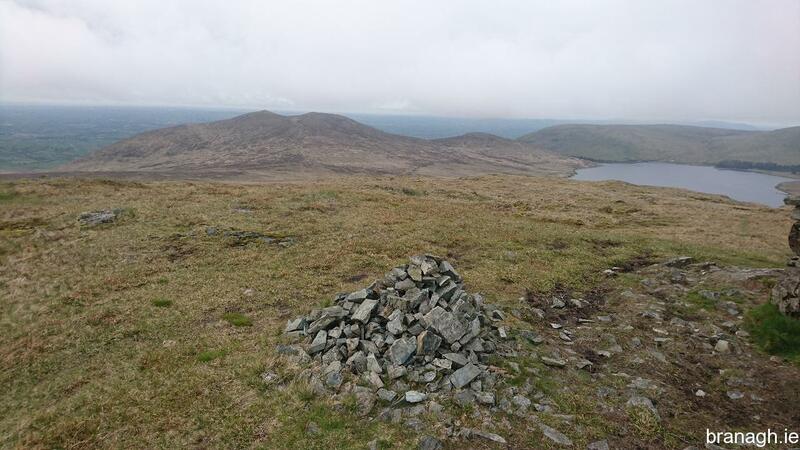 My route to the summit of Eagle would take me first over Pigeon Rock then Slievemoughanmore. This would give me the opportunity to check out those peaks also for camping spots as they are also on the list. The weather was fairly typical, breezy with cloud cover on many of the peaks. It was dry though and not unpleasant. There were a group of runners following the same route as me toward Eagle Mountain. Running is something I have no real interest in personally but I have a lot of respect for people who do it in the hills. The runners made me look bad as they all overtook me on the ascent. They were not fully loaded up with camping gear as I was though. From the summit of Pigeon Rock looking over Spelga. Looking toward Hen Mountain from the ascent on Eagle.. The summit of Eagle engulfed in cloud. 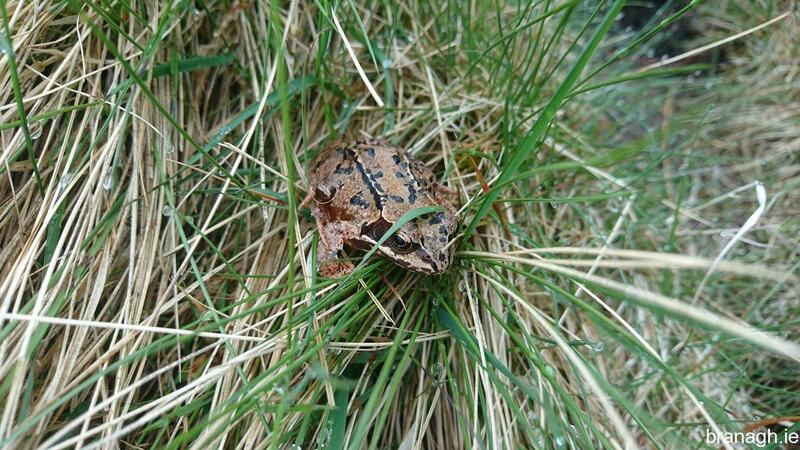 A sheltered spot by the wall on soft ground. 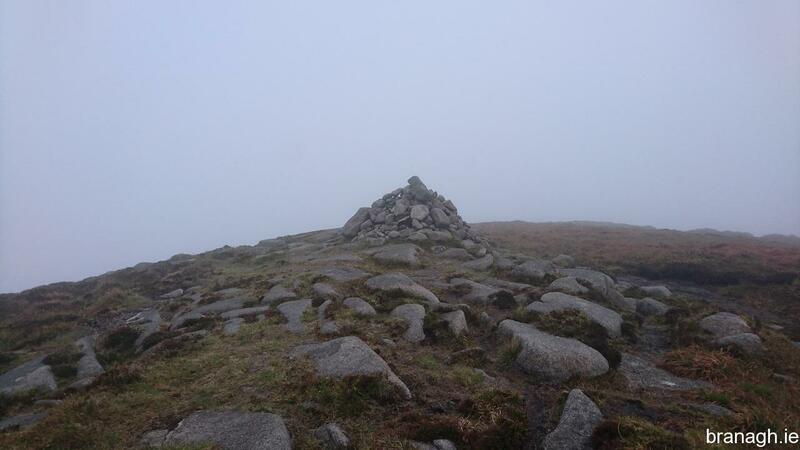 By the time I got onto the summit of Slievemoughanmore the runners were long gone and I was by myself as I usually am while in The Mournes. The cloud was a bit lower now and the summit was engulfed. I continued on down via The Windy Gap and up onto Eagle Mountain. The area below The WIndy Gap was somewhere we used to visit as children with our parents around Easter time. I was hoping to camp right at the summit cairn on Eagle but once I got there it was just a little too windy so I was forced to take shelter by pitching my tent along the wall. The ground was quite soft. Finding a suitable spot was a bit of a challenge. This summit was also engulfed in cloud. The rest of the evening was uneventful with the very familiar sound of the wind on the wall helping me sleep. Some local wildlife just above Windy Gap. 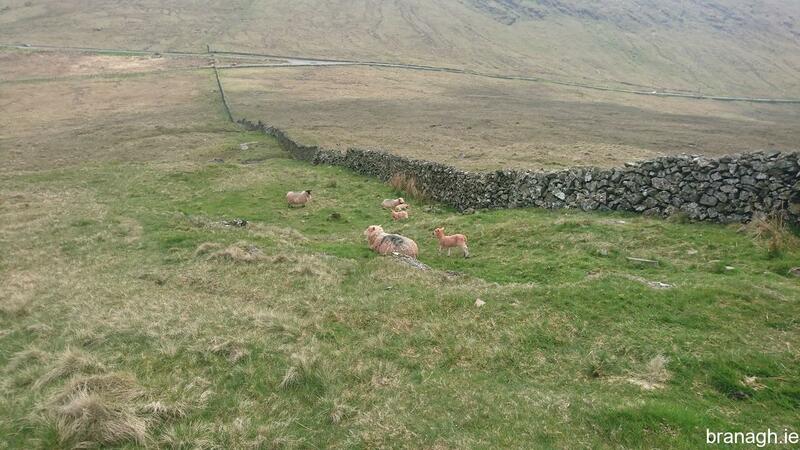 Spring lambs low on Pigeon Rock on the hike back to the car. The next morning there was still low cloud on the peaks but it was beginning to clear as I began to hike back. By the time I got close to the car it was a bright mild morning. At this stage I was feeling very strong. 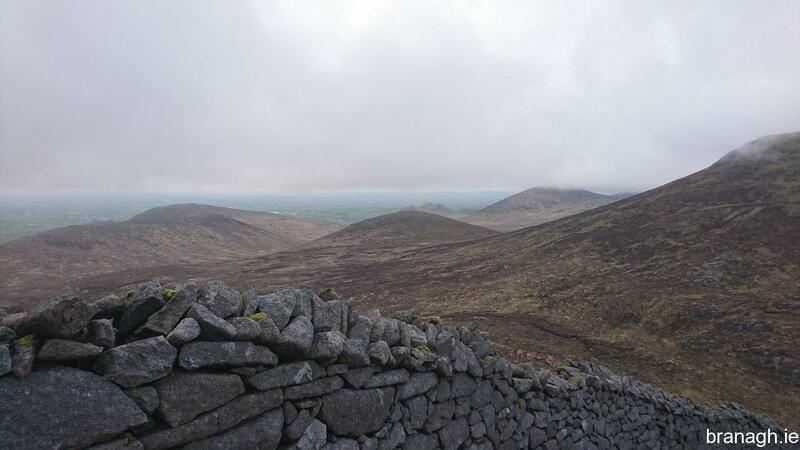 My time spent in The Mournes recently had been paying off and this was important because in less than a week I was due to take on the mighty Mourne Wall..